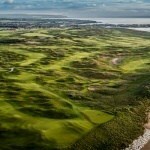 Baltray is situated 4 miles from the historic town of Drogheda at the mouth of the river Boyne. With the river to the south and the Irish Sea to the east, this is Links golf at is very best, with only the muted murmur of a ships engine to break the sounds of nature, as it quietly winds its way up river to the port. 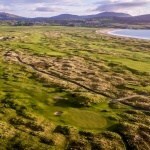 The golf course at County Louth is consistently ranked among the Top 10 courses in Ireland. Sometimes ferocious and other times benign, it provides competition for all handicaps. In today’s language it could well be described as “user friendly”. 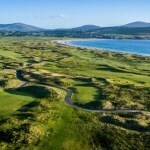 If you would like to play Co. Louth Golf Club (Baltray) as part of your customized golf tour to Ireland, please contact us on Ph: +353 (0)91 868642 or Email: sales@northandwestcoastlinks.com . Check out some of our sample packages here.